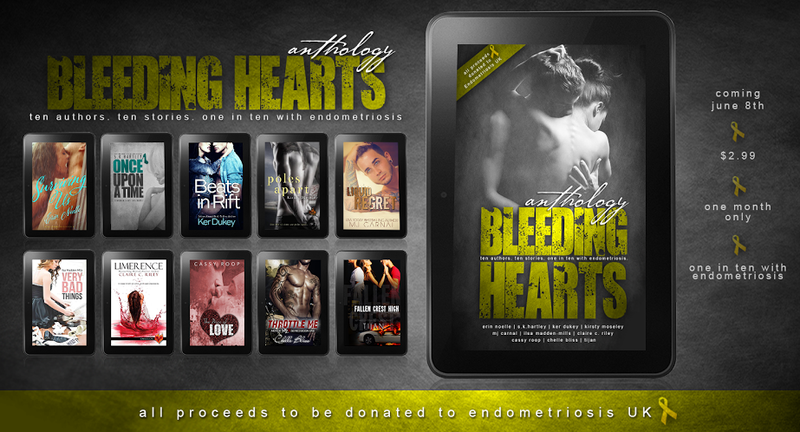 TEN BESTSELLING AUTHORS HAVE COME TOGETHER TO HELP RAISE AWARENESS OF THE CHRONIC DISEASE, ENDOMETRIOSIS. THE DISEASE DOESN’T HAVE A CURE AND MANY OF THOSE SUFFERING HAVE MANY DAY TO DAY STRUGGLES JUST TO GET BY. 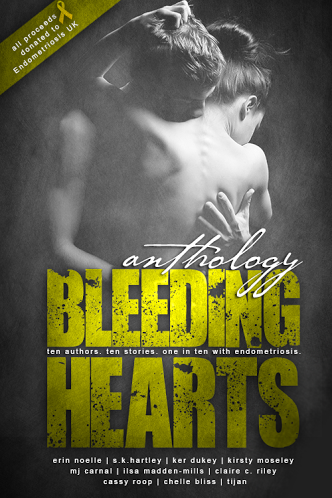 THE BLEEDING HEARTS ANTHOLOGY IS AVAILABLE FROM JUNE 8TH – JULY 8TH WITH ALL PROCEEDS GOING TO THE CHARITY. PLEASE HELP US RAISE AWARENESS OF THIS CHRONIC DISEASE, THAT EFFECTS ONE IN TEN WOMEN IN THE UK ALONE, BUY PURCHASING YOUR COPY ON RELEASE DAY! INTERIOR DESIGN: PINK INK DESIGNS.